But just in case, here’s a few more: The first Colts player to make it into the Pro Football Hall of Fame was running back Eric Dickerson…who, by the way, also played for the Colts when they were in Baltimore and then continued to play for them when they moved to Indianapolis (loyalty does pay off! 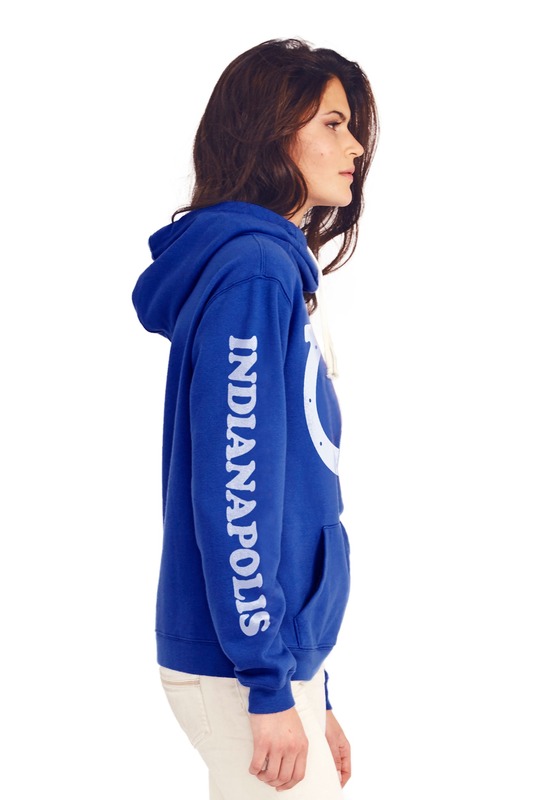 ).The first NFL franchise ever to make use of cheerleaders were the Colts (which not everyone might think is that big of a deal, but pro NFL cheerleading has since become a huge contender when it comes to landing lucrative sponsorships and promotions for teams, so the Colts can be credited with knowing a good thing when they saw - heard? - it!). Also, when Indianapolis kicker Adam Vinatieri played during the Colts’ Super Bowl victory following the 2006 season, he became the first kicker in NFL history to play in five Super Bowl games! Which proves our original point - everyone knows that the Colts are winners, but what they might not know is that, when it comes to winning? Those Colts go the extra mile! 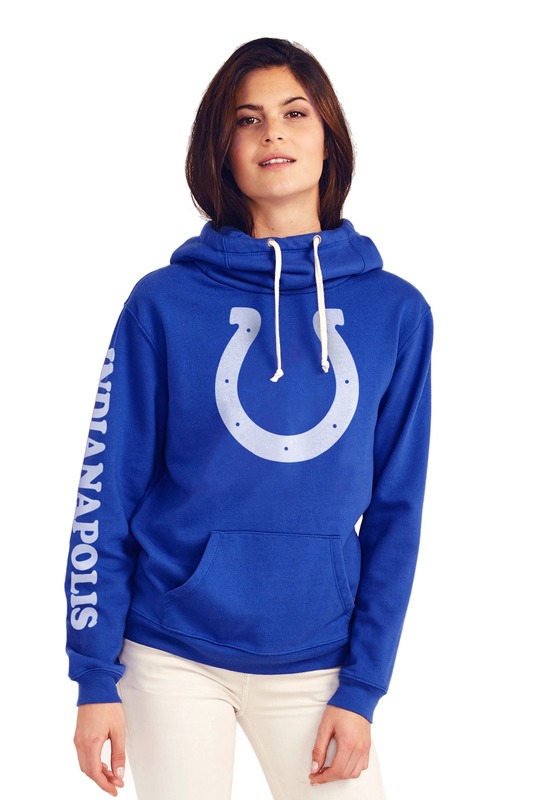 And if you're ready to win when it comes to rapping your team in style, this NFL officially licensed Indianapolis Colts Women's Cowl Neck Hooded Sweatshirt is the way to go! Made of soft and cozy material, the cowl collar will keep you warm whether you're cheering from the stands or your living room. 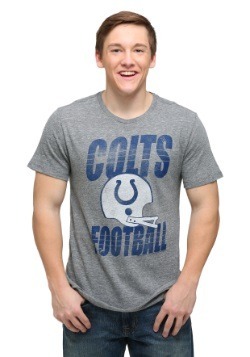 The classic Colts horseshoe logo printed on the front and "INDIANAPOLIS" along the length of right sleeve will also keep you sporting that team pride in style. 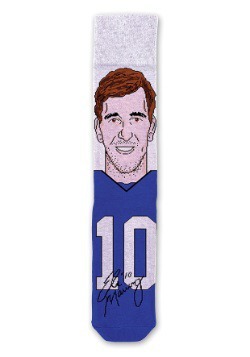 Get it to show your support to the team or pick it up to give to your favorite NFL fan! 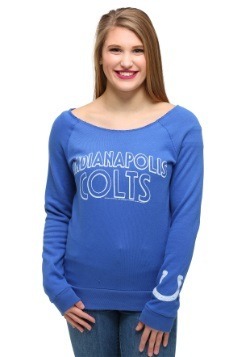 X-Small - $24.99 Only 5 left! Medium - $24.99 Only 3 left! 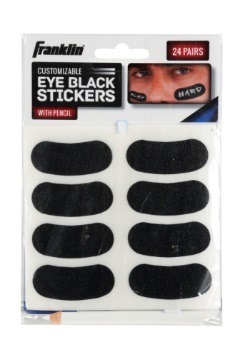 Large - $24.99 Only 1 left! 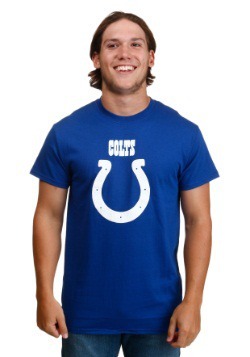 X-Large - $24.99 Only 3 left!